Welcome to Superchrome - one of the most popular digital printing companies based in the UK. Our area of specialization is canvas printing. 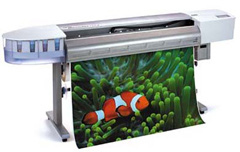 Whatever be your canvas printing needs, the right printing equipment is the most important factor for quality output. Being a professional in the field, we make use of the most innovative and technically advanced canvas printing equipment available. At Superchrome, we assure unconditional 100% satisfaction in each of our canvas prints. Utilizing cutting-edge canvas printing equipment, we can handle the most challenging assignments in canvas printing. With years of dedicated and reliable service in the field, we are among the top class service providers. Here, we print posters, computer generated graphic files, paintings, digital photos, pictures, and many more. We stand out from other digital printing companies in delivering quality canvas prints. Our high quality canvas printing equipment can print images and texts on the canvas with high resolution and superb sharpness. We make use of pigment-based, water resistant and UV resistant inks. Thus, our canvas prints are good for indoor and outdoor use. Size is never a restriction to us. Generally, we work on canvas ranging in size from A2 to 60x40". Whatever be the texture of the canvas, our canvas printing equipment can print images in a wide range of color combinations, and black and white formats. If you have any specific requirement in size and quality of canvas, let us know your needs. Using our state-of-the-art canvas printing equipment, we will be able to deliver customized solutions in the shortest possible timeframe. Log on to our website for more detailed information about our canvas printing equipment and quality of printing services. If you have any questions or comments, feel free to call us. We are available on the phone round the clock, to answer all your questions. Interact directly with one of our company representatives to find more about our facilities and specialties. If you would like to know more about canvas printing equipment, any of the projects shown or if you want to discuss any project you have coming up then contact us 020 7237 9333 or fax 020 7237 9444 or email sales@superchrome.co.uk. Our experienced personnel would be able to guide you appropriately.